Pretty stickers for girl's bedrooms. 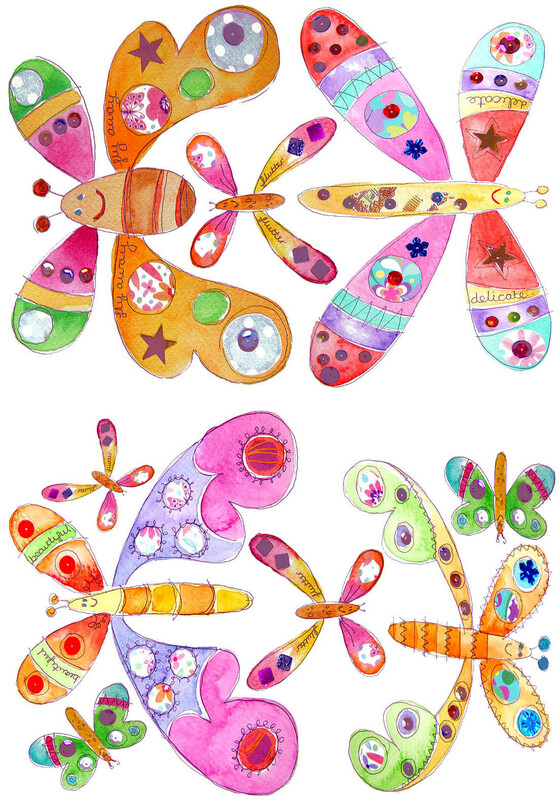 These lovely butterfly stickers are peal and stick, so no marks are left when they are removed and re-positioned. Stickers can magically transform the look of the walls in a room without being as permanent as paint! Create a beautiful wall with the four large butterfly stickers and lots of little butterfly stickers included in this pack. Two sheets of stickers in each pack. Largest butterfly stickers are approx. 18cm in height.